When it comes to Boston, there are a million reasons that you would want to stay an extra night or two in the city. First, there is the practical. 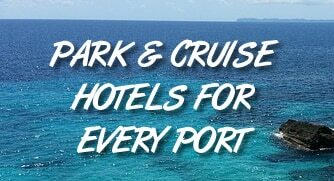 With airline delays seemingly getting worse every day and traffic a nightmare, you don’t want to risk missing your cruise. There are horror stories of cruisers coming in for their trip on cruise day, only to have their flights delayed or cancelled due to weather or other mishap. That’s why we always recommend coming in at least the day before your cruise if you plan to fly. Of course, we also recommend coming in early to Boston just to experience everything the city has to offer. Boston is one of America’s most historic city and offers a feeling and charm that is unlike any other city in the United States. Whether visiting the JFK Presidential Museum, the USS Constitution or any number of other attractions, you could spend days in the area and still not see it all. We suggest treating Boston as another port city on your cruise to explore and enjoy. To help you out, we’ve rounded up a list of the top hotels near the Boston cruise terminal. The good news is that since the cruise port is near Boston’s city center, one hotel can give you easy access to both areas. The hotels listed below are by no means meant to be an exhaustive list. Instead, they are some of the closest hotels to the port that are also rates “Good” or higher by Kayak.com. Prices are for a recent search for Saturday night and will be subject to change. Keep in mind that since the downtown/seaport area is high-end, there aren’t many cheap accommodations nearby. Click on the hotel name to see reviews and more details on TripAdvisor.com.